Casa Batllo and Museo Picasso will appeal to museum buffs. Your cultural itinerary includes sights like El Barri Gòtic and Parc Guell. Next up on the itinerary: make a trip to Basilica of the Sagrada Familia, admire the landmark architecture of Palau Guell, enjoy the sand and surf at Barceloneta Beach, and appreciate the history behind Casa Mila - La Pedrera. For photos, traveler tips, ratings, and tourist information, read our Barcelona online sightseeing planner . Prague, Czech Republic to Barcelona is an approximately 6-hour flight. You can also drive; or take a train. Expect somewhat warmer temperatures when traveling from Prague in March; daily highs in Barcelona reach 19°C and lows reach 9°C. Wrap up your sightseeing by early afternoon on the 7th (Tue) to allow time for the car ride to Avignon. On the 8th (Wed), admire the natural beauty at Rocher des Doms, then step off the mainland to explore Ile de la Barthelasse, and then explore the historical opulence of Palais des Papes. On the 9th (Thu), you'll have a packed day of sightseeing: make a trip to Pont d'Avignon, then steep yourself in history at Site Archeologique de Glanum, and then hike along Le Sentier des Ocres. 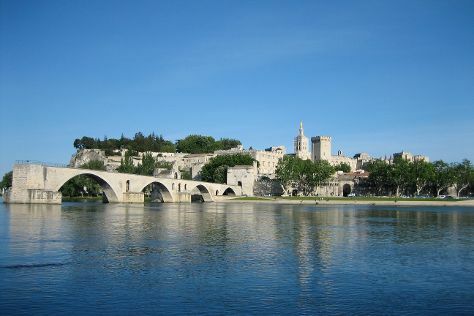 For other places to visit, photos, maps, and tourist information, use the Avignon online trip planner . You can drive from Barcelona to Avignon in 4.5 hours. Alternatively, you can take a train; or do a combination of flight and train. Traveling from Barcelona in March, Avignon is slightly colder at night with lows of 5°C. Finish your sightseeing early on the 9th (Thu) to allow enough time to take a train to Marseille. Start off your visit on the 10th (Fri): admire the masterpieces at Museum of European and Mediterranean Civilisations and then take a stroll through The Panier. For reviews, traveler tips, other places to visit, and tourist information, use the Marseille trip itinerary maker . Getting from Avignon to Marseille by train takes about an hour. Other options: drive; or take a bus. In March, daytime highs in Marseille are 19°C, while nighttime lows are 7°C. 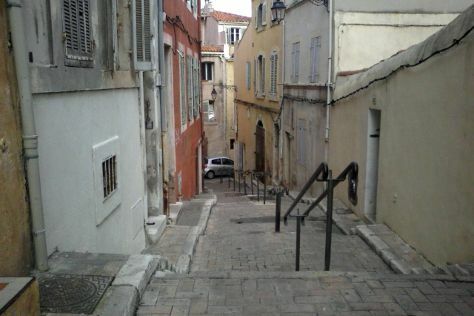 Finish up your sightseeing early on the 10th (Fri) so you can go by car to Cannes. 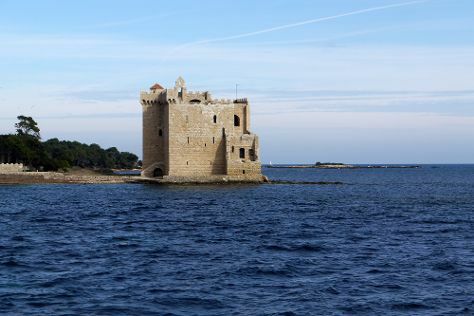 On the 11th (Sat), step off the mainland to explore Lérins Islands. Here are some ideas for day two: stroll through Juan les Pins Main Beach, then savor the flavors at Marche Forville, and then wander the streets of Le Suquet. To find reviews, more things to do, ratings, and other tourist information, you can read our Cannes trip itinerary planner . Drive from Marseille to Cannes in 2 hours. Alternatively, you can take a train; or take a bus. In March, plan for daily highs up to 18°C, and evening lows to 7°C. Wrap up your sightseeing on the 12th (Sun) early enough to drive to Nice. Kick off your visit on the 13th (Mon): admire the masterpieces at Palais Lascaris and then kick back and relax at Castel Plage. For traveler tips, more things to do, other places to visit, and tourist information, read Nice planner . Nice is very close to Cannes. 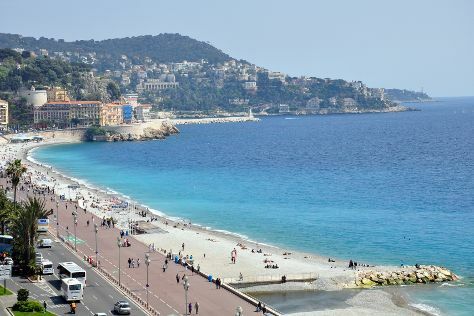 In March, daily temperatures in Nice can reach 17°C, while at night they dip to 9°C. Finish your sightseeing early on the 13th (Mon) to allow enough time to travel to Rome. Vatican Museums and Galleria Borghese will appeal to museum buffs. St. Peter's Basilica and Pantheon are good opportunities to explore the local culture. There's lots more to do: explore the ancient world of Colosseum, pause for some serene contemplation at Chiesa di Sant'Ignazio di Loyola, steep yourself in history at Palatine Hill, and wander the streets of Trastevere. To find more things to do, photos, maps, and other tourist information, refer to the Rome trip planner . Traveling by flight from Nice to Rome takes 4.5 hours. Alternatively, you can drive; or do a combination of train and flight. In March in Rome, expect temperatures between 19°C during the day and 8°C at night. Wrap up your sightseeing on the 16th (Thu) to allow time to take a train to Florence. Start off your visit on the 17th (Fri): admire the natural beauty at The Boboli Gardens, take some stellar pictures from Piazzale Michelangelo, then get engrossed in the history at Basilica di Santa Croce, then take in the architecture and atmosphere at Cathedral of Santa Maria del Fiore, and finally see the interesting displays at Academy Of Florence Art Gallery. Here are some ideas for day two: get to know the fascinating history of Piazza della Signoria, then stroll through Easy Living - Spiaggia sull'Arno, and then examine the collection at Pitti Palace. For other places to visit, where to stay, maps, and other tourist information, refer to the Florence online route planner . Getting from Rome to Florence by train takes about 2 hours. Other options: drive; or fly. In March, daytime highs in Florence are 17°C, while nighttime lows are 6°C. Wrap up your sightseeing on the 18th (Sat) to allow time to take a train to Milan. Kick off your visit on the 19th (Sun): tour the pleasant surroundings at Parco Sempione, then take in the spiritual surroundings of Duomo di Milano, and then admire the striking features of Galleria Vittorio Emanuele II. To find ratings, traveler tips, maps, and tourist information, read Milan sightseeing website . Take a train from Florence to Milan in 2 hours. Alternatively, you can drive; or fly. In March, daytime highs in Milan are 16°C, while nighttime lows are 5°C. Finish your sightseeing early on the 19th (Sun) to allow enough time to take a train to Bologna. On the 20th (Mon), see the interesting displays at Museo Ferrari, then explore and take pictures at Antica Acetaia Villa Bianca, and then relax and rejuvenate at Massaggio Californiano. On your second day here, contemplate in the serene atmosphere at Basilica - Santuario di Santo Stefano, then take in panoramic vistas at Torri degli Asinelli e Garisenda, then indulge in some culinary diversions at a local gastronomic tour, and finally get some jogging in at Torre Prendiparte. For where to stay, reviews, ratings, and other tourist information, use the Bologna online vacation planner . Take a train from Milan to Bologna in 1.5 hours. Alternatively, you can drive; or take a bus. Expect a daytime high around 17°C in March, and nighttime lows around 5°C. Finish your sightseeing early on the 21st (Tue) so you can take a train to Verona. On the 22nd (Wed), admire the striking features of Casa di Giulietta, make a trip to Torre dei Lamberti, experience the emotional art of opera at Arena di Verona, then wander the streets of Piazza delle Erbe, then step into the grandiose world of Museo di Castelvecchio, and finally let your taste buds guide you at Veronality. On the next day, get interesting insight from La Barca di Salvo and then enjoy the sand and surf at Jamaica Beach. For maps, ratings, where to stay, and other tourist information, refer to the Verona day trip website . Traveling by train from Bologna to Verona takes an hour. Alternatively, you can drive; or take a bus. In March, Verona is much hotter than Bologna - with highs of 34°C and lows of 34°C. Wrap up your sightseeing on the 23rd (Thu) early enough to drive to Venice. Kick off your visit on the 24th (Fri): admire the landmark architecture of Basilica di San Marco, then appreciate the extensive heritage of St. Mark's Square, then admire the striking features of Doge's Palace, and finally explore the activities along Canal Grande. Get ready for a full day of sightseeing on the next day: wander the streets of Cannaregio, then explore the world behind art at Gallerie dell'Accademia, and then make a trip to Dorsoduro. You can drive from Verona to Venice in 1.5 hours. Alternatively, you can take a bus; or take a shuttle. Traveling from Verona in March, things will get colder in Venice: highs are around 17°C and lows about 5°C. Finish your sightseeing early on the 25th (Sat) so you can travel back home.